When it comes to selling your home, it’s important that you maximize the space to increase both the interest in, and value of, your home. Neglecting certain areas such as cupboards, spare rooms, basement or even the attic can be costly. A recent survey carried out by TalkTalk, which polled 2,000 homeowners, found that the average UK home has £34,000 worth of wasted space. 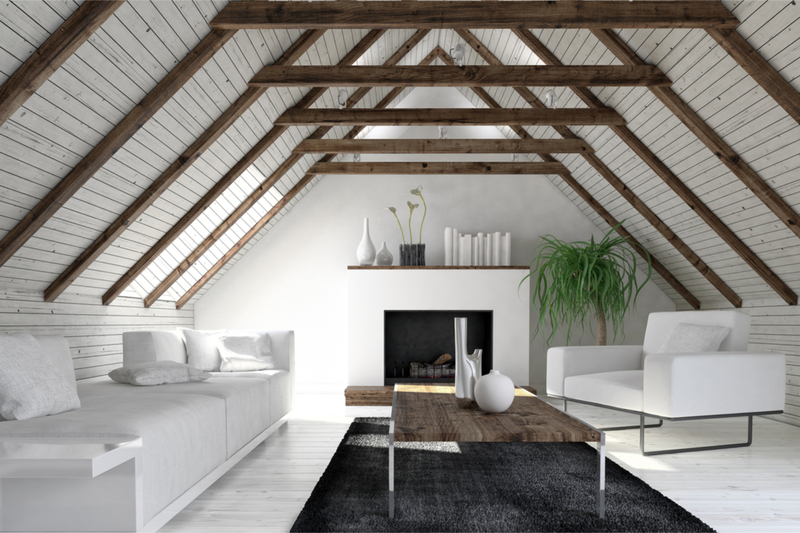 The survey found that 15% of the average home goes completely unused with the most common unused areas the attic, spare room and garden shed. With a bit of clever thinking, you can add value to your home by making use of ALL available space in your home. A garden shed is often overlooked or forgotten, especially in Glasgow where we seem to spend the majority of the year inside. However, it shouldn’t be neglected, especially if your home is on the market in the spring or summer. With the incredible warm weather we’ve had this year, many people are now mindful of how important outdoors space and storage is. A shed can be a games room, workshop, play den or somewhere for creative people to escape to for some peace and quiet and to work, write, paint or sew! Look at Pinterest for some inspiration and get some ideas on how to make the best use of this space. Maximise the space in your home by ensuring that your spare bedroom has a purpose. If you are keeping it as a spare room make sure you make it look comfortable and welcoming, as the danger is to have a bed in the room and use it as a bit of a dumping ground! You can also convert it into a home office to appeal to the rising number of people working from home, a home gym to appeal to those wanting to ditch their expensive gym membership or a playroom to keep the rest of the home clear of toys. With no natural light the attic can be seen purely as a storage option. However, it can be converted into so much more. Loft conversions aren’t cheap but they can add as much as 20% to the value of your home and may not need planning permission so it’s worth exploring. That extra bedroom or living space will be a huge bonus to prospective buyers. Web connectivity! According to the TalkTalk survey, one of the key reasons for this lack of space being utilized was web connectivity, and 63% of those polled would be more likely to utilize this space if they had a stronger Wi-Fi signal. In fact, 25% said they would be willing to pay around £12,000 more for a house with no Wi-Fi blackspots. Therefore, it’s worth making sure that your home has a good Wi-Fi connection in all rooms.